The primary threat from the anticipated storms is transitioning into a hail threat. Still, gusty winds will be possible and even a brief tornado cannot be totally ruled out. In general though, the severe threat will probably be fairly isolated and I am admittedly a little surprised a watch was issued. Currently (8:30pm), there is one storm cell in particular that is of concern. 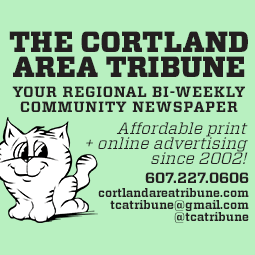 This storm is located southwest of Penn Yan and appears to be moving directly towards the city. Some hail is possible with the storm. The radar image below shows the storm and its associated warning in the yellow box. 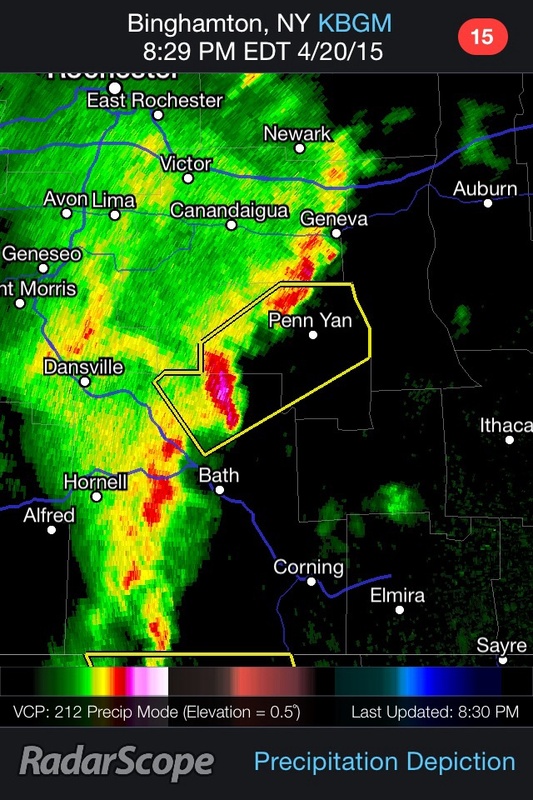 8:30 pm radar shows a severe storm, with hail the primary threat, heading for Penn Yan. A severe thunderstorm watch has been issued for most of the Finger Lakes until 1am.